Volume is King When Trading Gold. Some weeks ago, Hawkeye alerted you to the fact that although all the pundits were talking gold up, the Hawkeye Volume algorithm was showing weakness. Let’s look at the charts. Hawkeye has been short since last November at $1,684 (see red arrow above). 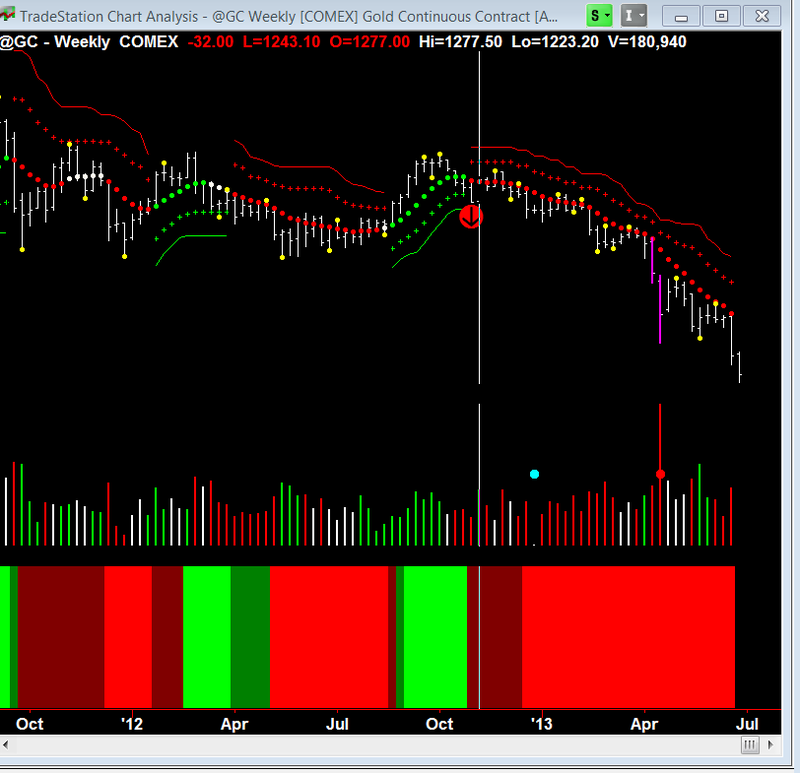 Daily Gold ($GC) chart showing possible entries using Hawkeye. The three red arrows show where you could have entered fabulous trades using the Hawkeye Roadkill indicator. With gold in a strong downtrend, the Hawkeye Roadkill identified three possible entries on April 13, May 17 and June 18 that would’ve generated substantial profits! The market is in a major downtrend. The next major resistance price level is $1,020. 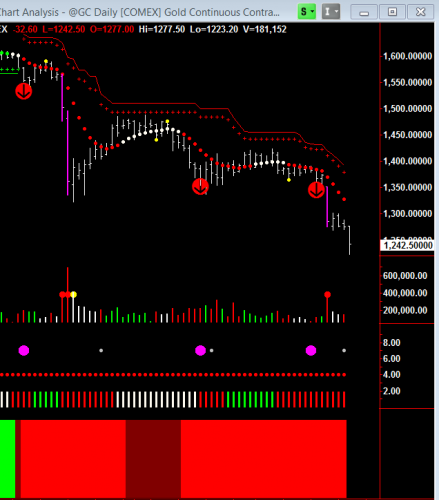 Expect to see a major price move to the downside on high volume followed by a narrow bar with light volume. Remember: markets don’t continue down on light volume so we must wait to see the above profile then expect an explosive up move form this heavily oversold position. Learn the “Six Ways a Market Moves,” the key to being a great trader, at the next Special 2 1/2-day Hawkeye Seminar in Santa Ana, CA on September 21-23, 2013. Previous PostPrevious There’s money in trading soybean futures.